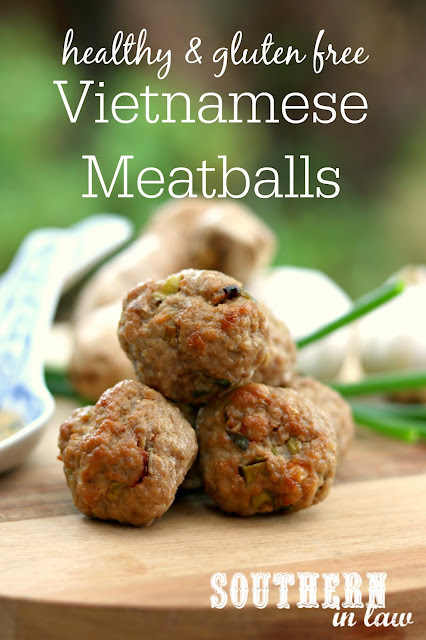 You see, I am not vietnamese... nor do I know if these even come close to Vietnamese meatballs as I've never eaten meatballs in Vietnam... or even been to Vietnam (but you can guarantee if I did go to Vietnam, I'd wake up each morning and say "GOOD MORNING VIETNAM!!!"... but, I digress...). 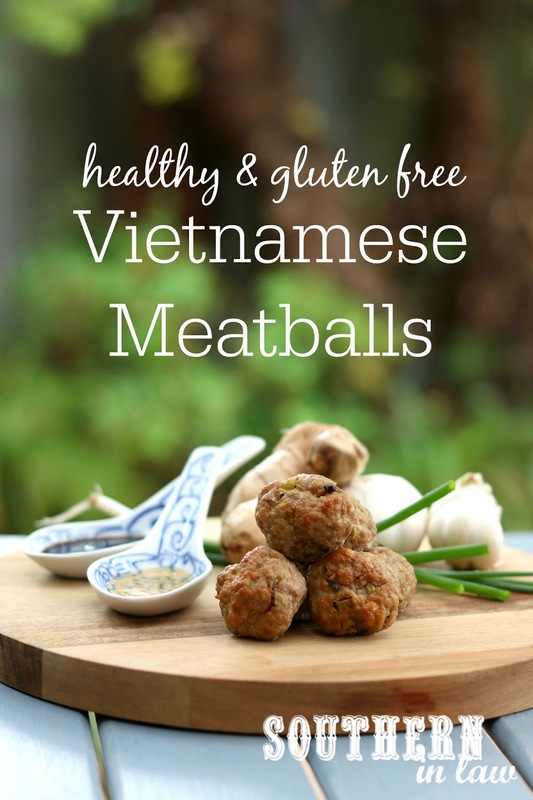 So we're just going to go with Vietnamese inspired meatballs... okay? But the name really isn't important... what is important here is that they taste good... and ohhhhhhhhhhhh how they do. I'm not much of a meat eater, but these meatballs I will happily devour because they're so full of flavour. We've taken to making them in huge batches (just double or triple the recipe) to cook and freeze so we always have an easy protein option on hand. They're so good that even my fussy parents will happily devour them and they've been a hit with kids too - meaning it's a recipe the whole family will love. In a large mixing bowl, combine all of your ingredients - mixing until everything is incorporated. Roll your meatballs using about 1 tbsp of mix at a time, placing each meatball onto your prepared tray with about 1/2 an inch of space around each meatball. Repeat until all of your meatballs are rolled. Place your meatballs into your preheated oven and cook for 15-25 minutes or until cooked through and lightly golden on the bottom. 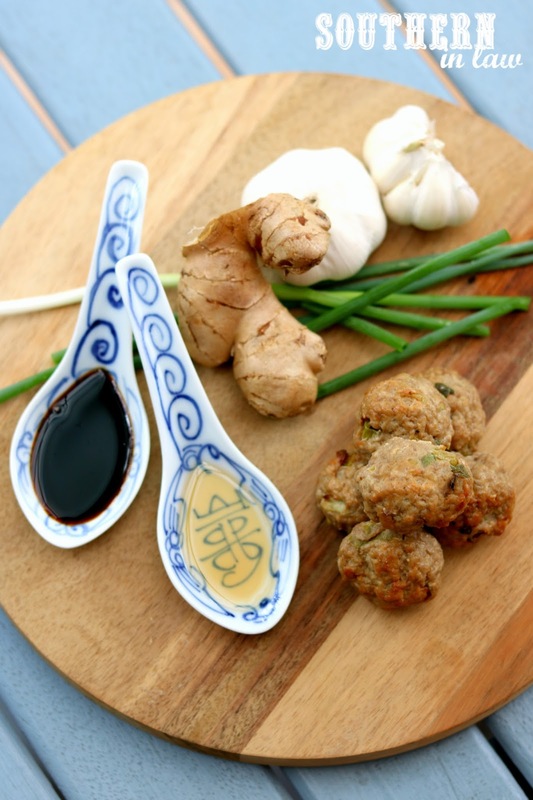 Cooking time will vary depending on what meat you use and how big your meatballs are. Once your meatballs are cooked, serve immediately or allow them to cool slightly before placing them in the fridge in an airtight container or freezing to eat later (we freeze them in freezer safe containers or zip lock bags). **I can't eat chilli so we leave it out, but my parents prefer a bit of kick so they add it in when they make it for themselves. If your meatball mix is too wet add a little extra cornflour. It will be kind of wet, but you should be able to roll them easily. I find chicken mince has more moisture than other minces. If you want to pan fry your meatballs go ahead! You don't have to bake them in the oven - we just find it's quicker and easier. Are you a meat fan? Or are you a bit like me and so-so about it? Or maybe you're vegan? What's the one recipe your WHOLE family always devours? Because lets be real, for a lot of recipes there's always that one person who isn't as much of a fan.